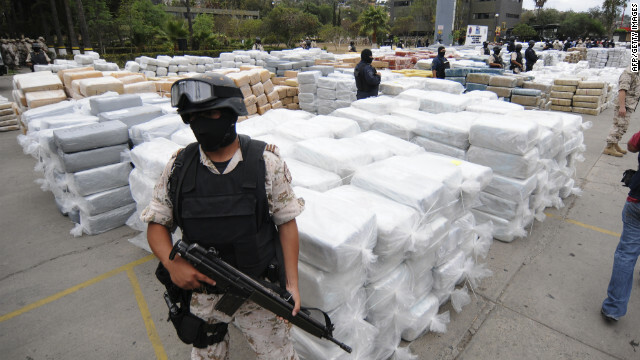 Fareed speaks with Ernesto Zedillo, an economist who served as president of Mexico and is now the director of the Yale Center for the Study of Globalization, and Ethan Nadelmann, the executive director of the Drug Policy Alliance, about the war on drugs. So explain, Ernesto, why you think the drug war has failed. Zedillo: Well, by any objective indicator – let's look at what has happened with consumption, let's see what has happened with production of drugs, let's see how many people that are in jail. I mean, when these wars started in the U.S., you had 300,000 people in U.S. jails. Now you have 2.3 million people. And a lot of those people are in jail because of minor offenses, drug-related minor offenses. But if you see south of the border, what we'll have to talk about thousands of people who have died in my country, you will have to speak about all these resources that flow north to south, and not only serve to buy weapons and to kill people in Mexico, but believe me, drug policies in your country, in Europe, in Latin America – everywhere – are making our job so much harder and so much more painful. Fareed speaks with Mexican President Enrique Peña Nieto about whether marijuana should be legalized. Watch the full interview on "Fareed Zakaria GPS," this Sunday at 10 a.m. and 1 p.m. ET on CNN. I know you are opposed to the legalization of marijuana, so I want to ask the question to you in a slightly different way. Have you noticed any effect of the partial legalization of marijuana in certain states in America? I mean, one of the things that people who advocate the legalization of marijuana point out is that it would take a lot of the crime out, it would take a lot of the illegal money out, it would regulate it the way that alcohol is regulated and provide tax revenues to the governments. Do you not find that compelling? I don't see it that way. I instead think that this is a door of access to drug consumption to the most harmful drugs, and it eventually will generate an environment of more violence, as well. And we would have to see in those states that have already legalized marijuana consumption, what social behaviors are they seeing? And if whatever gave way to this eventual legalization in those states, has it really resulted in the economic benefits for those states and for society at large? I don't think that is the case. However, I do insist we have to hold a debate with evidence, showing exactly what is happening throughout the world, and what is also happening in the states of the American union where they have legalized it. 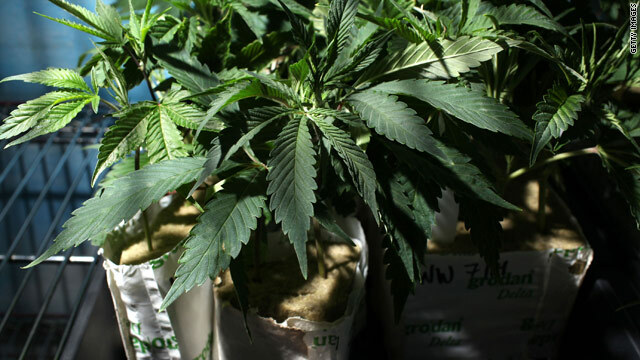 Editor’s note: Beau Kilmer is co-director of the RAND Drug Policy Research Center and coauthor of Marijuana Legalization: What Everyone Needs to Know. The views expressed are his own. Testifying before the Senate Judiciary Committee recently, U.S. Deputy Attorney General James Cole summarized the administration’s new approach to marijuana policy released in a recent U.S. Department of Justice (DOJ) memorandum. 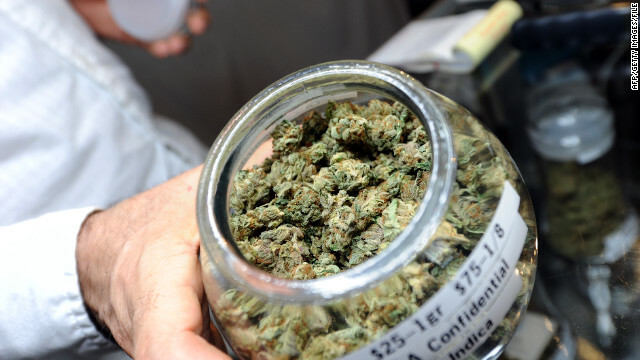 In addition to laying out the marijuana enforcement priorities for federal prosecutors, the memo suggests the DOJ will tolerate potentially large, for-profit marijuana companies in states with strong and effective regulatory and enforcement systems. This means Colorado and Washington will be the first jurisdictions in the modern era to remove the prohibition on commercial marijuana production and distribution for nonmedical purposes and start regulating and taxing it. Not even the Netherlands goes that far. Ahead of a New York state bill that would recognize marijuana for medical purposes, a state supreme judge with cancer writes in its favor in a recent New York Times op-ed. Gustin L. Reichbach, a justice of the New York State Supreme Court, has spent the last three and a half years battling pancreatic cancer and says inhaled marijuana is his only relief. Zakaria: Is Mexico winning the drug war? 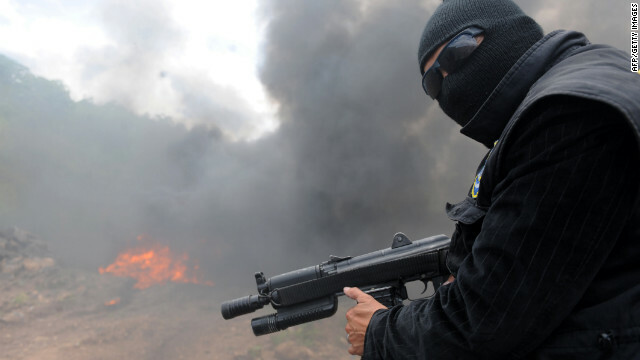 The drug wars dominate the discussion in Mexico and in many border states in America as well. There have been nearly 50,000 drug-related killings in Mexico since President Felipe Calderón began his six-year term. That's more than twice as many civilian deaths in the same period in Afghanistan. Topics: Drugs • Mexico • United States • What in the World? Should Latin America legalize drugs? When the world looks back at 2012 in the Americas, one burning debate will stand out amid the year’s usual chatter: Should Latin America legalize drugs? What was once taboo has now got presidents talking in public and writing charged commentaries. They’re trying to frame the new drugs debate in terms that Washington - which firmly stands by the drug war solution - will understand: supply and demand. The U.S. government says it will listen, but will not bend. Editor's Note: Juan Gabriel Tokatlian is Professor of International Relations at the Universidad de Di Tella, Argentina. For more, visit Project Syndicate's great new website, or check it out on Facebook and Twitter. In January, US President Barack Obama nominated Marine Corps Lieutenant General John F. Kelly to head the United States Southern Command (USSOUTHCOM). Based in Miami, Florida, USSOUTHCOM runs military operations throughout Latin America and the Caribbean, and is the key US “drug warrior” in the region. Across the region, the key question, among civilian and military leaders alike, is whether the change in commanders will bring with it a change in focus.